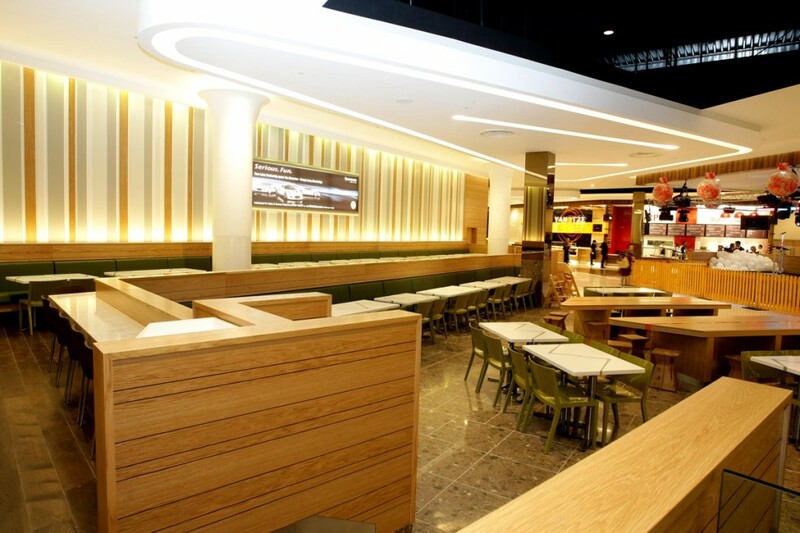 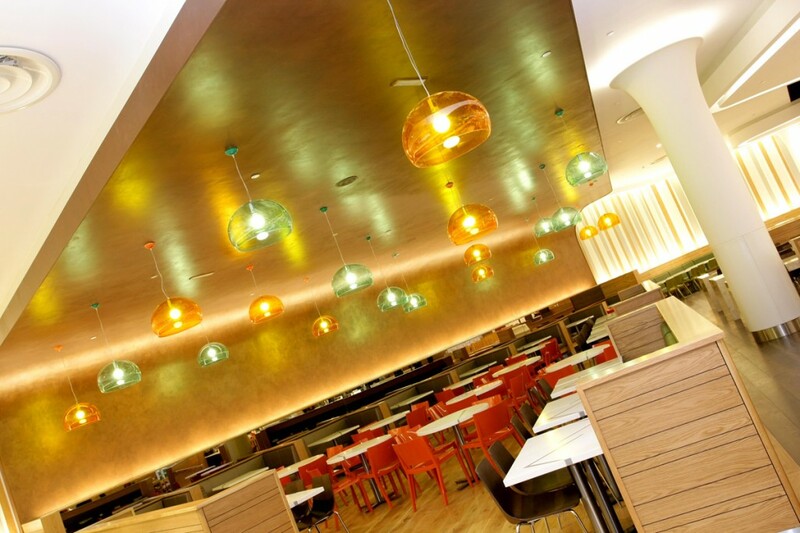 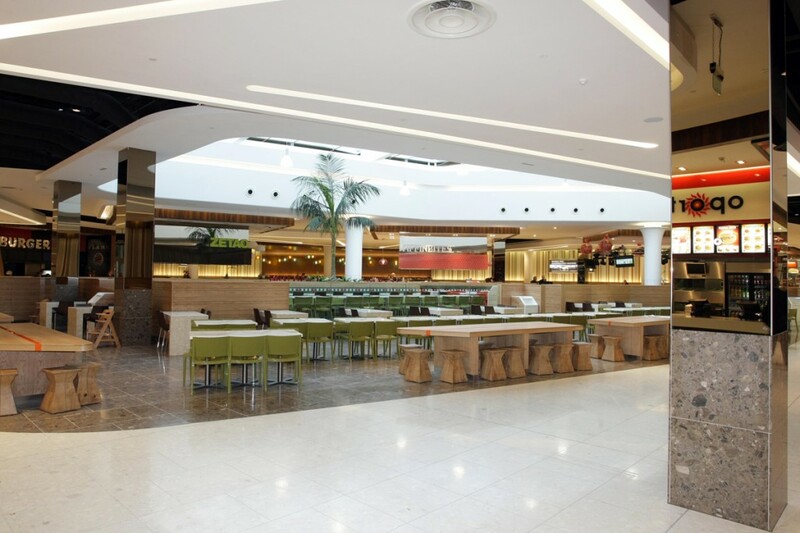 The vast food court at Westfield Merryhill required an energy efficient lighting scheme, but the client was also keen to use as few downlights as possible for a more interesting light effect. 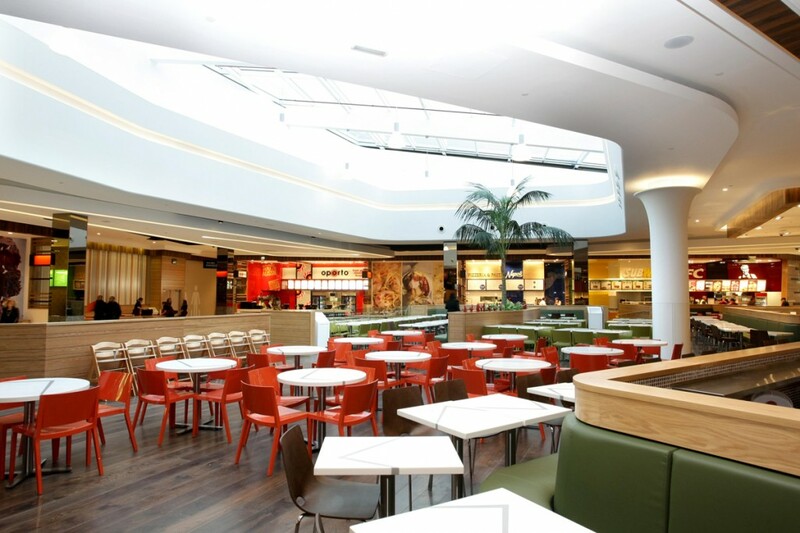 into developed a lighting scheme around extensive use of concealed light slots, pelmets and coffers housing mains-dimmable cold cathode light sources. 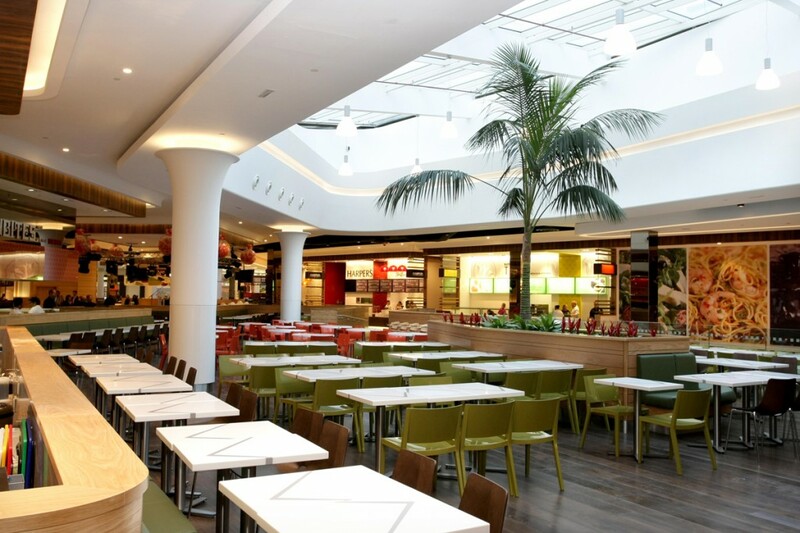 The use of concealed ceiling details of various shapes and styles creates a very strong visual feature in the space that is not typical of shopping centre food-courts.